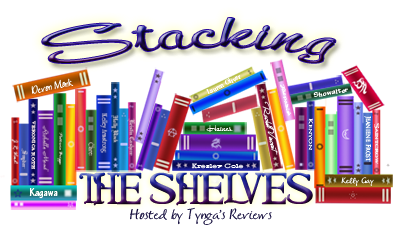 The Book Life: Stacking the Shelves (6) - With Unicorns!!! LOVE your post this week! Great books. And what an awesome prize pack you received. Now I want to go pick up Something Strange ad Deadly. That IS gorgeous. ...And too funny. We both picked up the new paperback of An Abundance of Katherines this week. I love that book - I hope you do, too. You know I will be waiting for your review. Oh, and I LOVE Magic and Rainbow. The kidlet has a Magic, too. ;) You and her would get along swimmingly when it comes to unicorns. I'm looking forward to reading An Abundance of Katherines, it being a road trip book makes it a no-brainer for me! Something Strange and Deadly is so good! And I really hope you like An Abundance of Katherines. It's definitely on the lighter side, as compared to John Green's other books, but it's just as good! I'm all for An Abundance of Katherines being a little on the lighter side. I loved The Fault in Our Stars, but it definitely had it's heavy moments. YAY UNICORNS! Hope you love Abundance of Katherines! 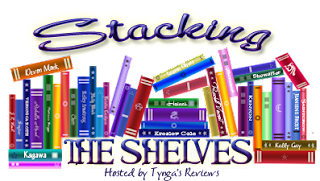 Really great other books this week too. I haven't read any of them, so I'll keep an eye out for your reviews. Happy Reading! SOmething Strange and Deadly was OK but if you're looking for Steampunk maybe you should pick something else as it's not very steampunk-ish compared to Kady Cross and Gail Carriger.